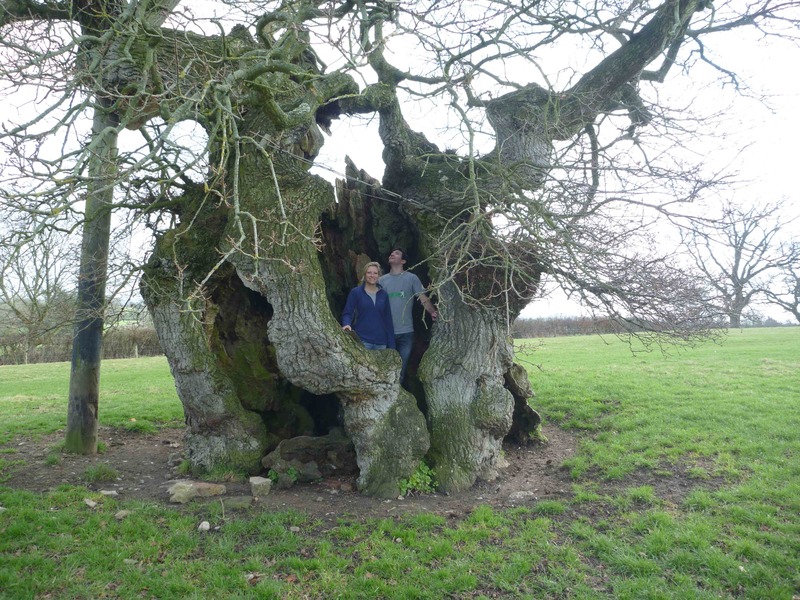 Just a couple of minutes from the hustle and bustle of the A303 you can find yourself in the peaceful presence of the ancient Silton or Wyndham’s oak. The small rural village of Silton lies just 2 or 3 miles South of the A303, near Wincanton. 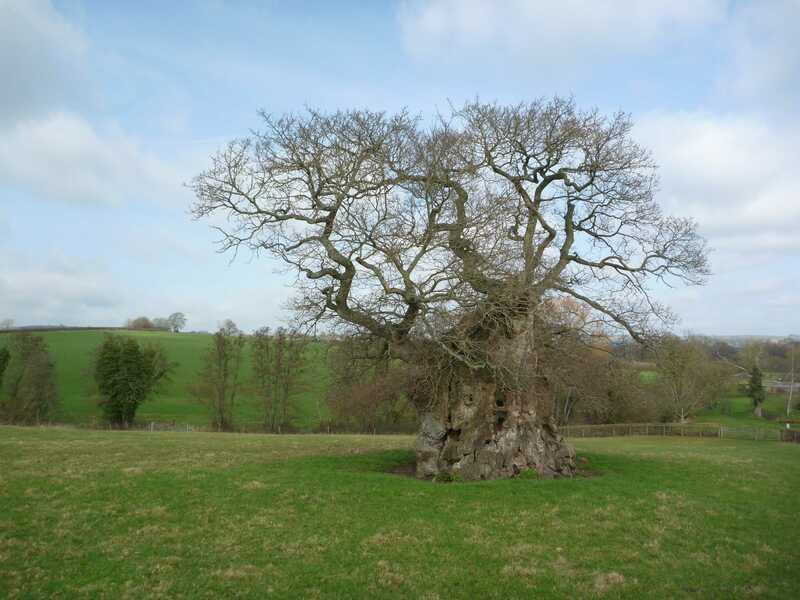 A quiet field behind St Nicholas Church is home to the stumpy Silton or Wyndham’s oak (grid reference ST78422936). With an impressive girth of nearly 10m it is thought to be in excess of 1000 years old. 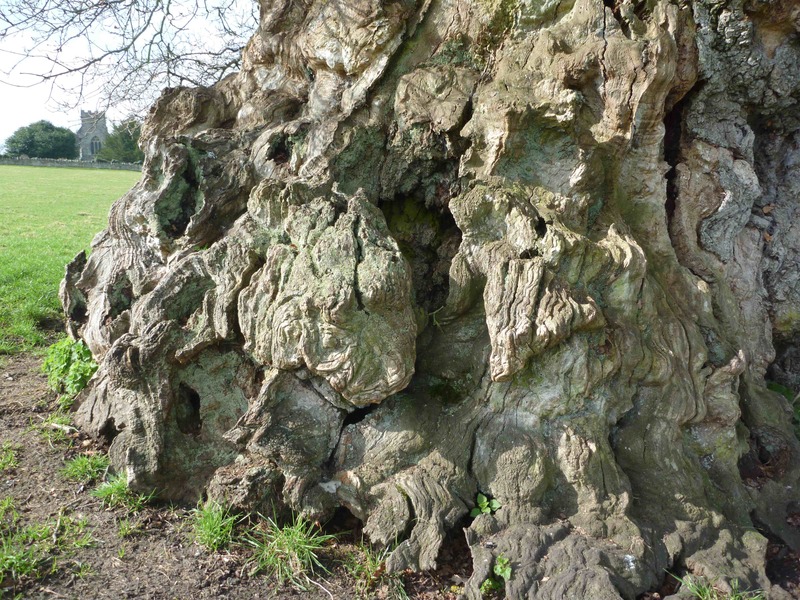 Also known as Wyndham’s oak, after a Sir Hugh Wyndham (born in 1603) who bought the manor of Silton in the late 17th Century, this ancient specimen has a surprisingly gruesome past. In 1685 Charles II died and his Catholic brother James II succeeded to the throne. A revolt started in support of Charles II’s illegitimate son the Duke of Monmouth. The rebellion was suppressed and a rather sinister sounding chap called Judge Jeffreys was sent down to the South West to try the defeated rebels. Two such rebels were hung from this very tree! 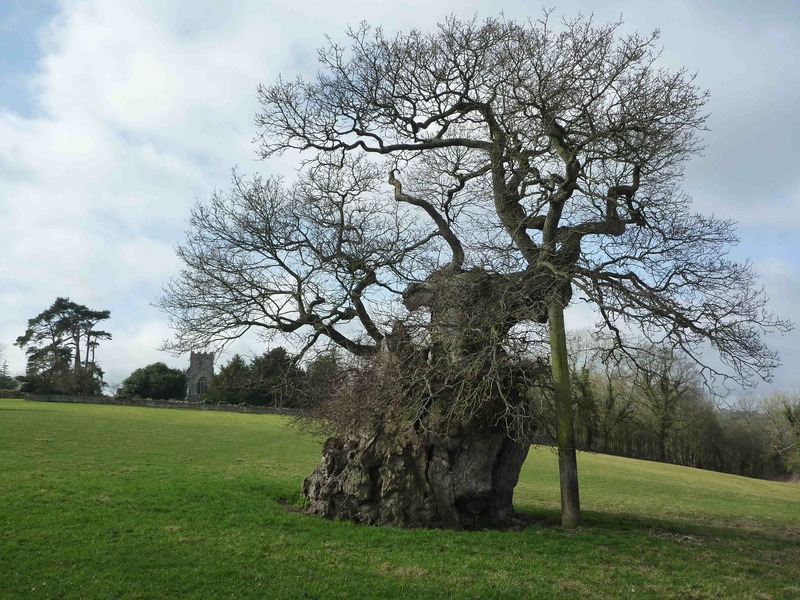 Still standing as a silent witness to our past, this ancient oak tree, like many others around the country, needs to be preserved and enjoyed as the green monument it is.